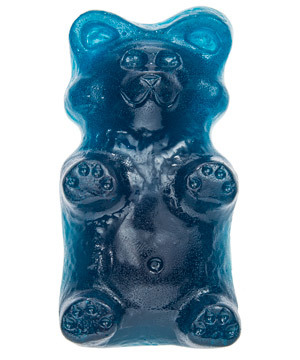 Gummy Grizzly Bear: The Wild Side of Candy! 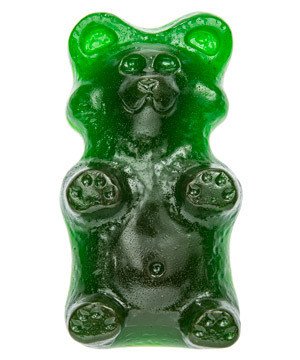 Feast your eyes upon this sweet wildlife, and then sink your teeth into the Gummy Grizzly Bear! 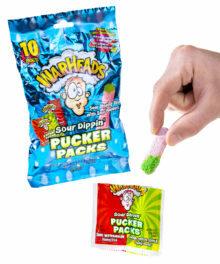 This highly detailed two-pound candy mammal features paws, a belly button, face, and even fur texture. 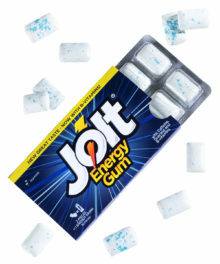 Make sure to share this predator with those lower on the food chain because at over two thousand calories, this treat could feed an entire den. Bring the Gummy Grizzly Bear to a party, keep it for an after dinner snack, or take it on a camping trip for an energy boost. Just remember to hang it high up in a tree so the real thing doesn’t come snooping around your site. 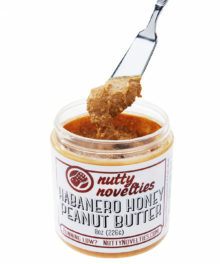 Handmade in the USA and available in multiple delicious flavors. Weighs 2 lbs (0.91 kg)! 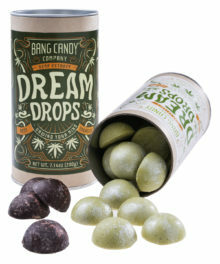 We know you appreciate gummy of all shapes and sizes. This one happens to be massive and in the shape of a wild grizzly bear. Featuring clawed paws, fur texture, and a ferociously friendly face, this untamed treat is a wild animal that you’re going to want to bite back at. 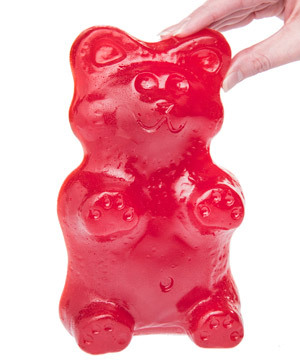 Weighing in at over two pounds, the Gummy Grizzly Bear is undeniably a whole lot of gummy. 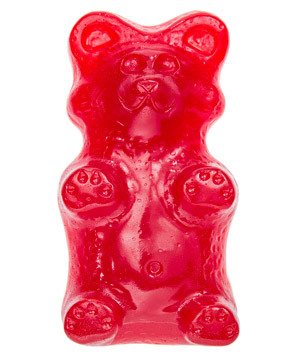 With a standing height of about eight inches, it even towers over other big and giant gummy bears. 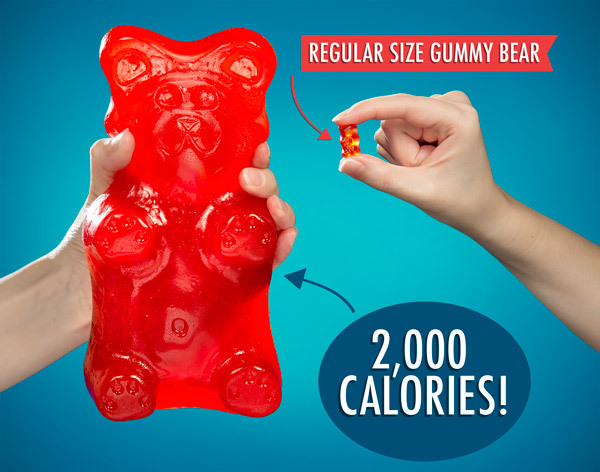 But since it’s not quite the size of the World’s Largest Gummy Bear or a Party Bear, in a way, this 2,000 Calorie candy could be considered moderation. 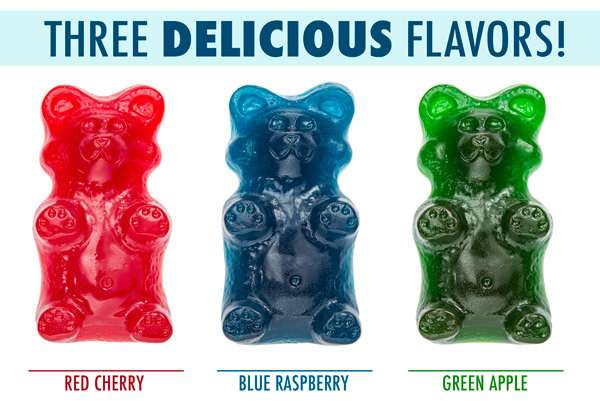 The Gummy Grizzly Bear is currently available in three species; red cherry, blue raspberry, and green apple. Gummy Grizzlies come in three delicious flavors. 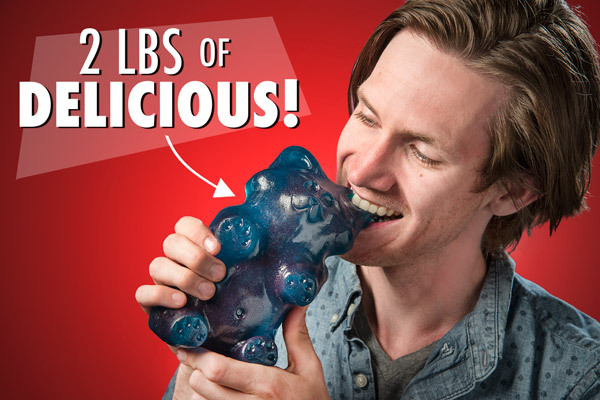 Question: How is this different from the World’s Largest Gummy Bear? 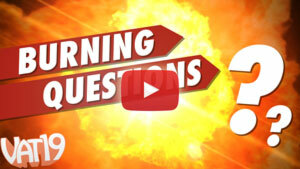 Answer: The World’s Largest Gummy Bear is a hefty five-pound behemoth of gummy. As a wild animal, the Gummy Grizzly is nearly as tall but a little trimmer, so it weighs in at about two pounds. The Grizzly makes up for the difference in weight with detailed fur and claws and is every bit as delicious. Answer: The Gummy Grizzly Bear lies flat against a cardboard backer card with a form-fitting plastic cover surrounding it.